Manages hiring SPP staff and conducting performance reviews in coordination with HR and in accordance with company policies. Staffs include Farm Force Admins, Agents, at the SPP allocated to work with. Manage the training of farmers and ensure proper plant spacing, quality assurance, soil preparation, cultivation practices, harvest practices and post harvest management is implemented by staff and by farmers. Plays the role on planning, organizing, leading, control and directing company’s goals to be achieved effectively and efficiently. • Proper and effective implementation of large/small holder division plans enabling profitability to the company and farmers. • Organize and block large/smallholder farmers into formal groups to the extent that groups will qualify and meet banking and commercial standards, and all group members sign company and financial contracts before any inputs are disbursed to farmers. • Team work, and demonstrate good work ethics and practices with other team members, supervisors, farmers and other stake holders. • Develops, maintains, and promotes positive and professional relationships with internal staff, suppliers, contractors, volunteers, members, partners, media, and the general public. • Accurate and timely reporting of the area he/she is working with, i.e. pre- planting, inputs supply, planting, post harvesting etc. reports. • Manage and supports overall plant health and soil nutrition strategies to include sustainable Good Agricultural Practices and integrated pest management in all farms within his/her scope of work. • Request for purchase, sale, or exchange of agricultural inputs to Supervisor and SPP/Station Administrator and maintains accurate inventory of input supplies. • Organises and chairs weekly, bi- weekly and monthly meetings on crop development with farmers Farm Force Admins and Agents in order to be up to date with new developments in the farms, check on problems and assist them to achieve the set objectives. • BSc Agronomy from an accredited University with MSc. in Agronomy, Agribusiness or Agriculture General will be an added advantage. 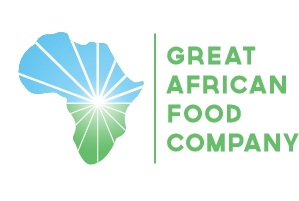 • Strong background in proper selection of growing regions for production, application of inputs for disease management, product quality and increased yields, and knowledge of good agricultural best practices to drive production that is compliant with industry standards in Global Gap and HACCP.. Send in an application including: Cover letter in English, copies of Relevant Certificates and latest CV/Resume including three referees one of them being the current or last employer. Send email application to hr.qfp@gafco.co.tz or drop off physically the application packet at our address – Burka Estates, Plot 175/786/3 Dodoma Road, After Arusha Coffee Lodge.